Mr. Silverstein is an associate of the Firm and a member of the Litigation Department. 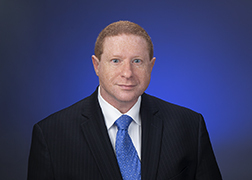 Mr. Silverstein joined the Firm in 2018. Prior to joining the Firm, Mr. Silverstein had his own practice concentrating in lender side foreclosures, bankruptcy, landlord-tenant, commercial litigation, family law, and real estate transactions all over the State of Florida in state and federal courts. Mr. Silverstein has spent his career litigating cases on behalf of financial institutions, investors, Fortune 500 companies, local businesses, local governments, and individuals.